The BASIC Collection is the complete 7-film series produced by Flannel, and featuring Francis Chan. The BASIC short film series, through Chans teaching, challenges us to reclaim the simple, full, and beautiful journey of the church that is described in Scripture. In these films, Chan asks the questions many are wondering about: What is church? Who is it for? Is it broken? Can it be better? "If I only had this as my guide . . . if all I had was the Bible . . . and I was to read this book and start a church, what would it look like?" asks Francis Chan, in the BASIC series. "Would it look like the thing we have built here and all refer to as church? Or would it look radically different?" The BASIC Collection features seven reflection guides, bonus features, and all seven films, including: Fear God, Follow Jesus, Holy Spirit, Fellowship, Teaching, Prayer, and Communion. Come to a better understanding of the relationship between God and humanity. Includes seven DVDs (approx. 15 minutes of teaching on each) and seven personal reflection guides (one for each of the films). 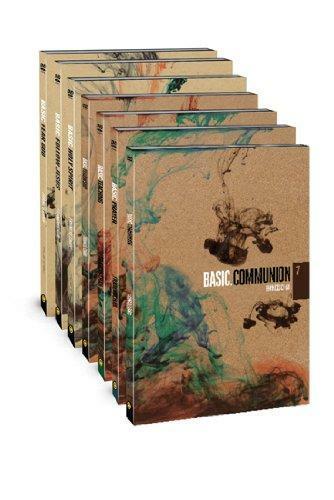 Basic 7 - Film Collection by Francis Chan , Mark Beuving, Mark Chan was published by David C Cook in October 2012 and is our 17867th best seller. The ISBN for Basic 7 - Film Collection is 9780781403863. Be the first to review Basic 7 - Film Collection! Got a question? No problem! Just click here to ask us about Basic 7 - Film Collection.